nothing it was opposite of what I expected, but should’ve known that coming out to London for the first time. The lady preparing breakfast was sweet, accommodating. "Nothing else" was worth mentioning - poor sanitation , blocked washrooms (health hazard , pest magnet) T.V that keeps acting funny (I thought it was possessed by BBC's spirit) !! This hotel is best described as adequate, but we just needed a bed for a night. 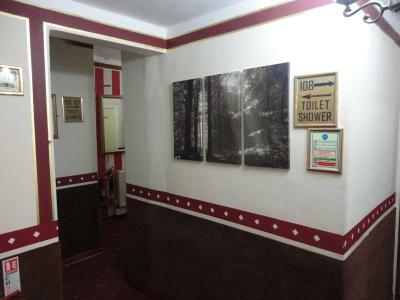 Our room and bedding was clean but the shower was rubbish and water soaked the en-suite. It was walking distance to our venue and the nearby parks were lovely, particularly Victoria Park with it’s boating lake. Sheets and towel were clean. Soap provided. 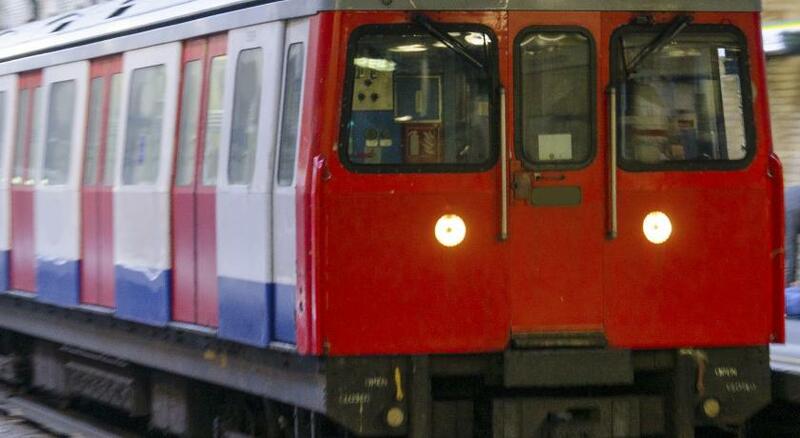 Good transport links. The bed was clean. 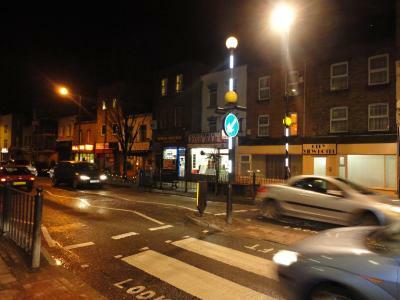 Good location transport wise 15 minutes to work in the City, but Bethnal Green is not a nice looking area.. I needed a very cheap place to get some rest for the night having been out in London and not wanting to leave London so late only to have to return in a couple of hours. Very reasonable price - no frills. 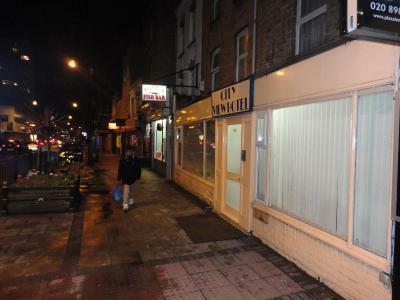 Approx 6 minutes walk from nearest tube station. 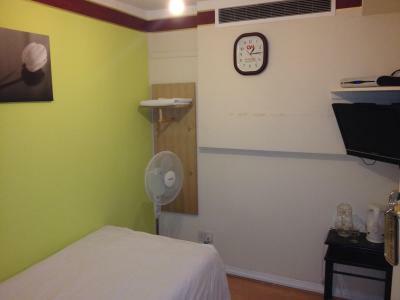 Smallish room shared toilet/shower. Staff very helpful with local bus routes timings etc and letting us leave bags before check in time. Our room was quiet and the beds were comfortable. The fan was definitely very helpful otherwise it may have been a bit too hot for a summer stay. Was a real novelty for me, having a sky box (even though the subscription had expired). I also liked the rouge pot on the staircase. The staff makes you feel like you're at home, not a hotel! Really cool people! 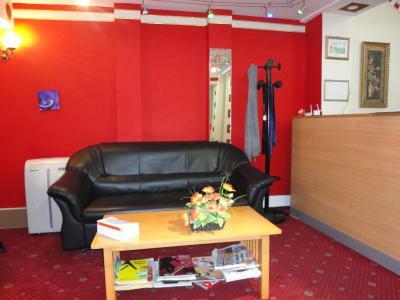 City View Hotel Roman Road This rating is a reflection of how the property compares to the industry standard when it comes to price, facilities and services available. It's based on a self-evaluation by the property. Use this rating to help choose your stay! 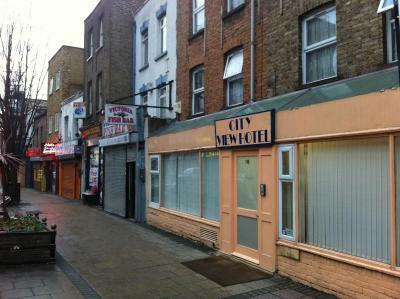 The City View Hotel is 1,650 feet from Bethnal Green London Underground Station and 2,950 feet from Victoria Park. 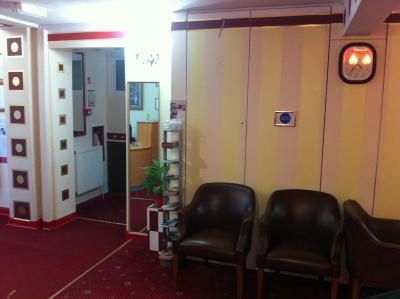 It offers free Wi-Fi and great-value rooms with DVD players. 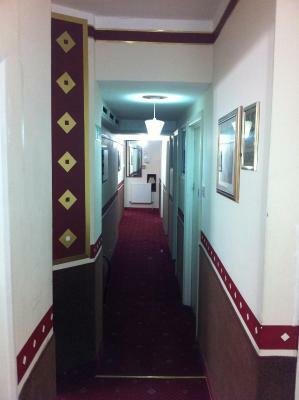 The City View Hotel Roman Road has rooms with flat-screen TVs with Freeview channels and DVD players. 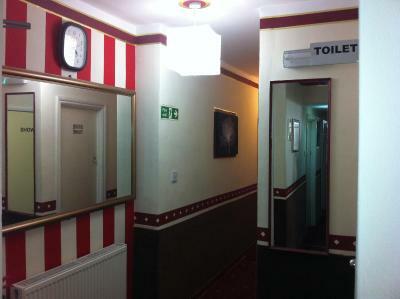 Standard rooms have private bathrooms and the economy rooms have bathroom facilities outside the room. 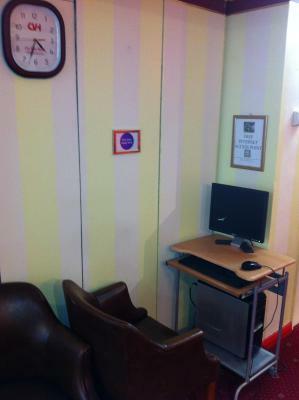 The hotel has a 24-hour reception desk and is 1,950 feet from both Bethnal Green Rail Station and Cambridge Heath (London) Rail Station. 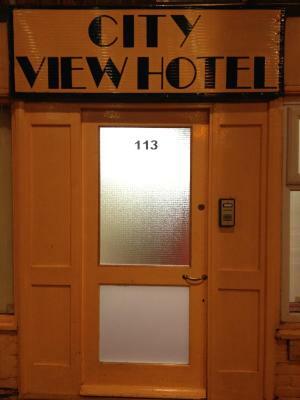 When would you like to stay at City View Hotel Roman Road? 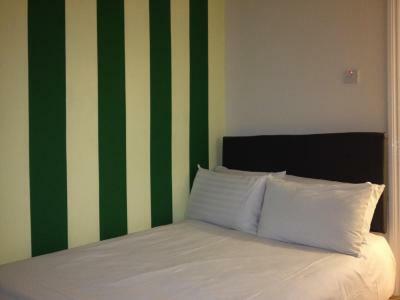 Free Wi-Fi access, a private bathroom, a flat-screen TV and a DVD player are included in this room. 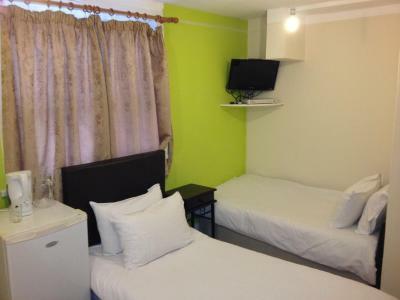 Free Wi-Fi access, a flat-screen TV and a DVD player are included in this room. 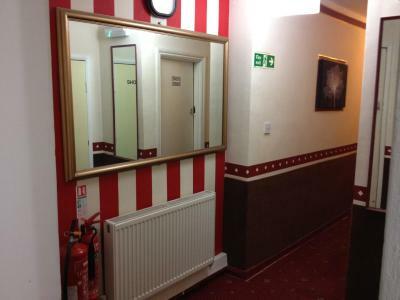 This room has shared bathroom facilities. 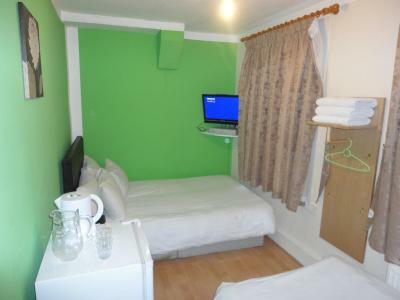 Free Wi-Fi access, a flat-screen TV and a DVD player are included in this room. 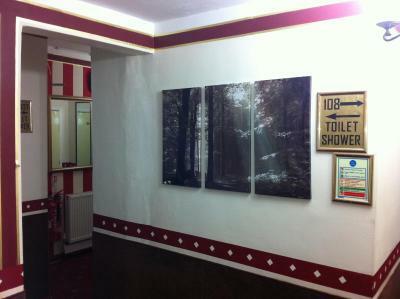 House Rules City View Hotel Roman Road takes special requests – add in the next step! Debit card City View Hotel Roman Road accepts these cards and reserves the right to temporarily hold an amount prior to arrival. City View Hotel Roman Road accepts these cards and reserves the right to temporarily hold an amount prior to arrival. Please inform City View Hotel Roman Road of your expected arrival time in advance. You can use the Special Requests box when booking, or contact the property directly using the contact details in your confirmation. On arrival I wasn't given any information (where communal bathroom was, when breakfast was etc) also my room had an unlockable window (on ground floor). The room and all facilities were clean. Check in and out were quick. Room was simple. All I needed. Late check out was good. Unexpected result with room smelling of smoke and generally dirty with cobwebs. 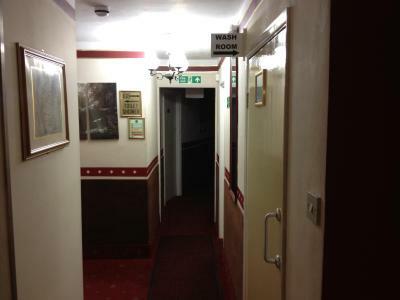 There was always noise during the night, the staff was always angry and not friendly. The room was awful and the breakfast you had to pray for everything. Bathrooms were horrendous and only one of the showers seemed to have hot(ish) water. Room is tiny and the feel of the place is very depressing. 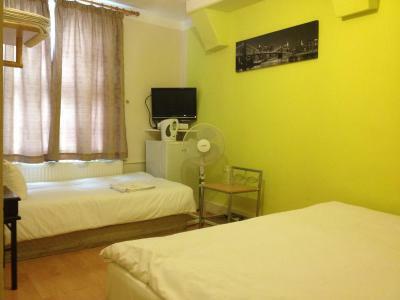 Great location for central London and probably OK if you're not planning on spending time at the hotel. Also allowed me to check in slightly early. The staff was kind, he helped all the time. Friendly service but we did have to ask when and where breakfast was as the guy on reception didnt mention it when we checked in. Room was comfy if not basic. Bathroom was clean but tiny, still did the job though. Breakfast was similarly basic but well cooked. Choices of cereal, toast, eggs, beans and sausages. The woman serving made a great cuppa. The room had no window toward outside and the whole place was really dirty. Hair in the bathroom (to share) and other spots I won't investigate of what. Filthy towels in the bathroom too to dry hands. Tablecloths that don't see a washing machine since last 60s. From my room I could hear all the noises of the reception. The staff has been very kind and helpful. Breakfast was simple but good (I had cereals with milk, orange juice and toast bread, but there were other choices). Luckily, there was no carpet on the room's floor. It's quite close to the tube. I have paid for my room twice, once as a "Pre-Authorisation" and I am still waiting for this to be reminded almost 72 hours after I checked out! So I paid in cash and they refused to accept a Scottish Ten pound note! 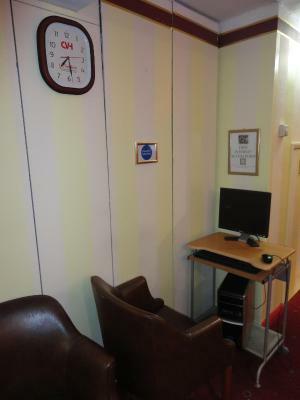 The room had no window ( I wasn't advised of this during any of the telephone conversations prior to booking) so the room was uncomfortably warm even without any heating and a fan! Guests stomping around so i managed just 3 hours sleep!! It was disgusting, this place is where you'll catch some infection/disease Not fit for human to say, My window didn't close properly and there was a fire-stair case that anyone can easily come into my room. 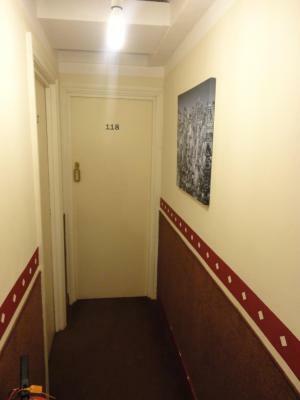 The bed was comfortable, the room was tidy and warm and the hotel was easily accessible by public transport. Breakfast was poor and seemed like if they can avoid serving it - they do.